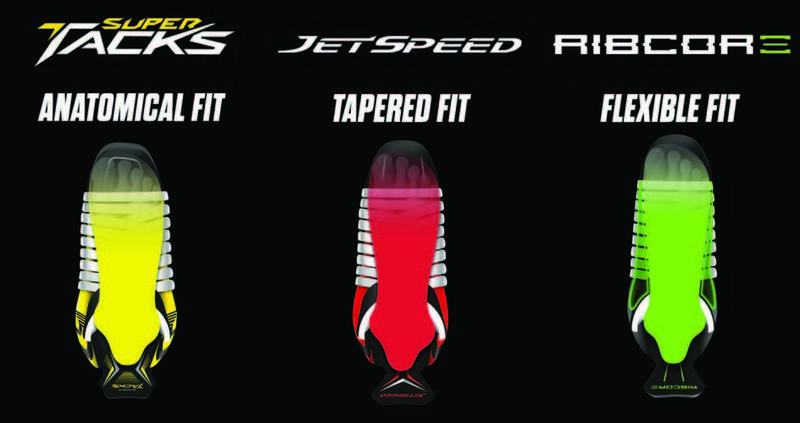 The CCM JetSpeed FT1 is the first ever one-piece boot frame skate in the JetSpeed family. Featuring L1TEFRAME 360 technology, the JetSpeed FT1 is a highly refined skate design with leading edge engineering to help maximize a player’s speed on the ice. Its ultra-lightweight structure makes it the lightest pro caliber JetSpeed skate to date. The monocoque construction gives players two critical benefits: A complete 360° fit around and underneath the foot for a customized fit, and a seamless direct energy transfer platform that helps generate more speed with every stride. ROCKETFRAME COMPOSITE WITH L1TEFRAME 360 TECHNOLOGY One-piece boot frame providing a 360-degree fit and an unprecedented direct energy transfer system. TAPERED FIT Provides players with a close, 360-degree tapered fit around and under the foot. SPEEDCORE 3 Super lightweight, rigid and thermo-formable core generating ultimate performance. TOTALDRI PRO LINER WITH DURAZONE ABRASION PROTECTION High performance moisture-wicking material keeps feet dry and skates light. SMOOTH CONTOUR PRO Soft pad around collar of the boot for superior foot and ankle comfort. MULTI-DENSITY MEMORY FOAM Asymmetrical foam comfort pads wrap anatomically around player’s foot for customized fit and comfort. TRITECH TONGUE WITH MOLDED LACE-BITE PROTECTION Molded to players’ feet and high ankles, with enhanced lace-bite protection. LIGHTWEIGHT COMPOSITE MIDSOLE Enhanced energy transfer platform for blade to boot interface. CCM CUSTOM FOOTBED (POWERED BY CURREXSOLE) Customized arch support provides an increased area of contact with the skate for maximized performance. 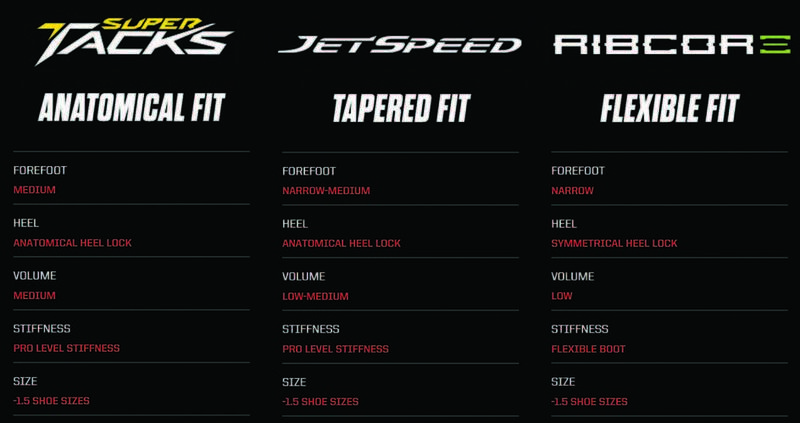 SPEEDBLADE 4.0 Proven durability with increased attack angle providing greater strides and cornering. SPEEDBLADE HYPERGLIDE High performance polished steel blade for greater glide efficiency and a longer edge life.